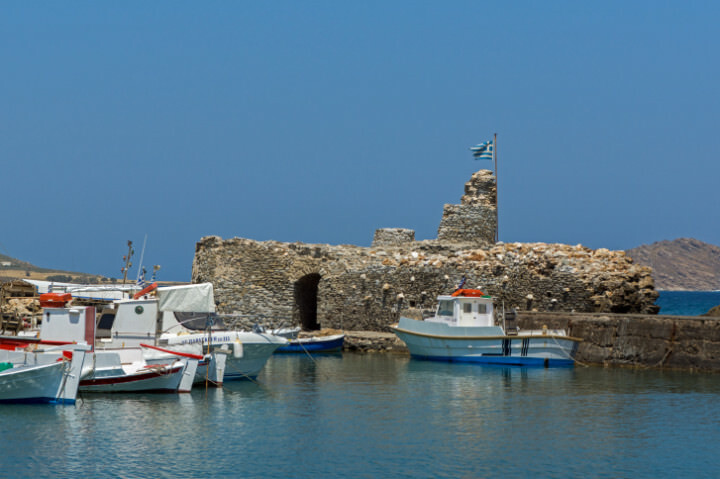 Parikia is the main port on the island and it’s also the capital. Sure, it’s fairly bustling, thanks to the influx of ships that pass through here on a constant basis. However, once you spend time here, you’ll begin to see it as something more than just a place for shops. It’s also a very artistic and culturally thriving city and it offers plenty of things to do that will entice you to stick around. 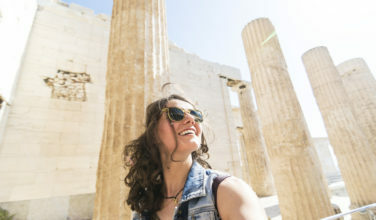 In addition to taking in the art scene, there’s also plenty of nightlife and shopping opportunities to make travelers happy. It has all the charm of a quaint Greek village, too. Spend some time walking through the streets, and be sure not to miss the Byzantine architecture, including an older church. Being an island, there are no shortage of beaches on Paros that are worth exploring! Beaches such as Golden Beach, Santa Maria, and Pounda are popular favorites for locals and tourists alike. 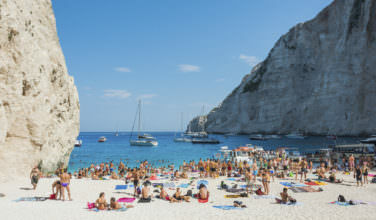 Most of these beaches are thriving and full of life, but are not as heavily trafficked as some of the beaches on the larger islands in Greece. You can easily spend the day at these beaches, relaxing and soaking up the Mediterranean sun. If you want to spend some time at an old Greek village, Lefkes is the place to be! Charming and quaint, this traditional town has plenty to offer its visitors. Set back from the water in the middle of the island, Lefkes, in a lot of ways, may appear frozen in time. Life moves at the same pace that it has for decades, and even though change does happen, it goes at a much slower pace. This is the place to be if you want to relaxing and enjoy some of the famous Greek hospitality! When you’re through exploring the island by car or on foot, change things up a bit by taking a boat tour! There are a variety of boat tours you can take. 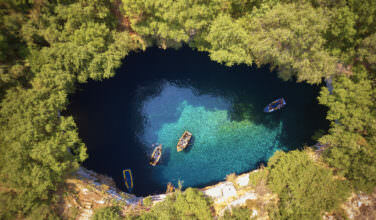 Some show you the island’s sites on a guided tour through the water. 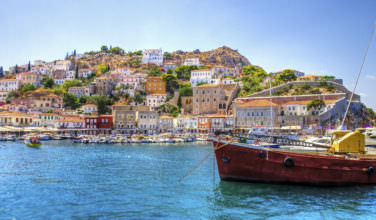 Others have themes; such as dinner cruises or boat trips that feature live Greek bands. Since the sea is such a big part of the culture here, you can’t go wrong by spending some time on the water! The Greek island of Paros is charming and quaint. Even though it can be busy, the island doesn’t see the same kinds of crowds as some of the more common ones.